Ever since the era of the “moral majority” and the Christian Coalition, we have seen how religion can impact our political conversations, and national destiny. But what about those “other” religions that come from the East? Our guest this week, Philip Goldberg, is an expert on how and why Americans have flocked to Eastern religions over the past half-century, and the impact this migration has had on our national consciousness. He speaks from experience. 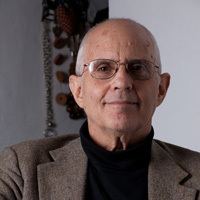 Growing up in a non-religious Jewish-Marxist household, Philip found his own way to spirituality by becoming a student of Maharishi Mahesh Yogi and a teacher of Transcendental Meditation. His book American Veda: From Emerson and the Beatles to Yoga and Meditation, How Indian Spirituality Changed the West offers a rich account of his own spiritual development, and an enlightening history of how the Vedic tradition and “perennial wisdom” developed in the wake of the transcendentalist movement in the 1800s. His latest book is a comprehensive biography of Paramahansa Yogananda titled The Life of Yogananda: The Story of the Yogi Who Became the First Modern Guru. Philip is also a meditation teacher and ordained Interfaith Minister, and also the cohost of the popular Spirit Matters podcast and leads American Veda Tours to India. If you’re curious about how Eastern wisdom can inform our current political “shituation” and enjoyed reading Autobiography of a Yogi back in the day, you’ll appreciate Philip going deeper into how and why Yogananda came to the U.S., his reception here, and his enduring influence. If you recognize that the heart and soul of who we are includes and transcends both religion and non-religion, please join us.